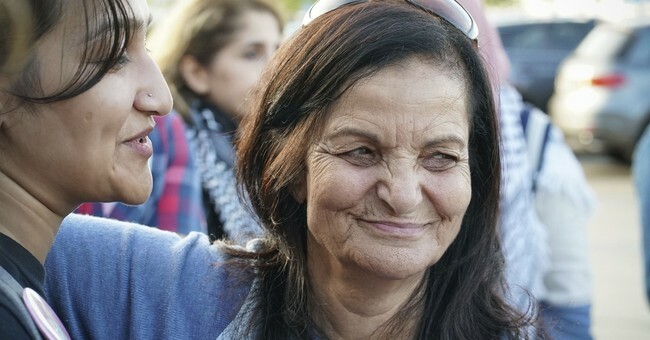 Convicted terrorist-turned-Women's March organizer Rasmea Odeh has been deported from the United States to Jordan after it was revealed that she lied on her application for a U.S. visa and for U.S. citizenship. Odeh did not state on her application that she was convicted in 1970 for two bombings in Jerusalem that resulted in the deaths of two people, and hence was tried for immigration fraud. After several appeals and a vacated sentence, on March 23, 2017 Odeh was sentenced to be deported and to be stripped of her U.S. citizenship. Her citizenship was formally revoked on August 17. Odeh was one of the co-authors of the Women's March's "A Day Without A Woman" planned strike and was active in the Women's March activism. Despite the relatively open-and-shut nature of the case, Odeh still has supporters who protested her deportation using the hashtag #HonorRasmea. And despite claiming to a Chicago newspaper that she has no friends or family in Jordan, this appears to be false.